Meet your need in different situations! These High-Pressure Washer Spray Nozzles allows you to clean hard-to-reach areas quickly and easily without the use of a ladder! With its high precision pressure washer nozzle, it ticks all the boxes! Use it for gardening, cleaning the car, washing the fence or even the roof! Increase cleaning efficiency and spend less time on cleaning using these multiple degrees nozzle tips! QUICK & EASY CLEANING - Clean hard to reach places without a ladder! Safely remove caked on driveway grime in a snap! 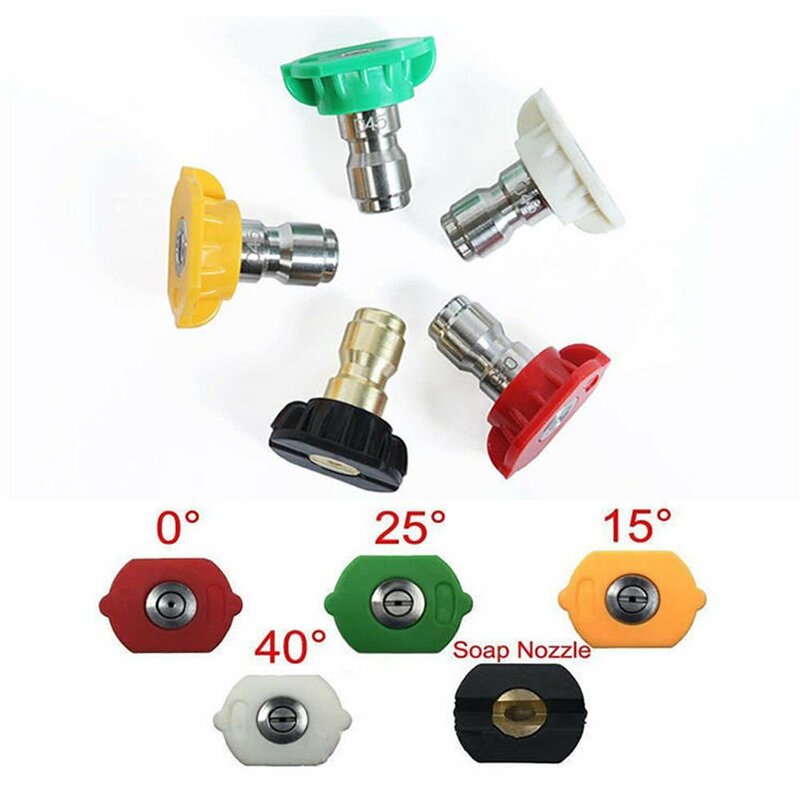 This convenient set of five pressure washer spray nozzle tips can handle any size job, large or small. COVER ALL SURFACES - Blast away dirt in sidewalk crevices, sweep leaves from your porch, or spray your stucco walls with our set of pressure washer nozzle tips!